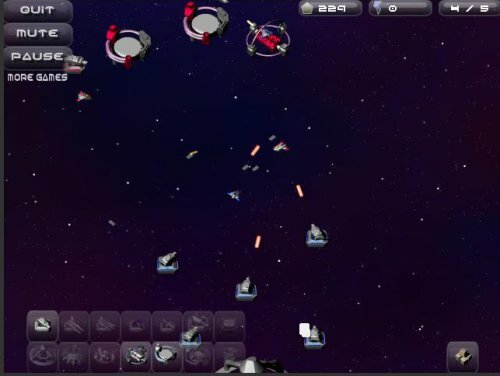 Description Build up your space stations, turrets, and fleet in order to obliterate your enemies and gain control of the nebula! 1. Click and drag to scroll view. 2. Build Towers for defense. 3. Build Fighter Bays and Starports to automatically manufacture ships. 4. Build supply docks to increase maximum ships. 5. Build Fusion Cores and Accumulators to generate resources faster. 6. Click on a building and use the buttons in the lower right corner to upgrade. Each building can only be upgraded once. Great space #game, nice #strategy. Need auto save!